Walking on their own two feet isn’t enough anymore for some people, they now feel the need of some style behind this. They feel the necessity of very own transportation tool for them. Are you feeling so? Then, Segway minipro smart scooter can be your pick. This self-balancing electric scooter is excellent as personal transportation for short distance. 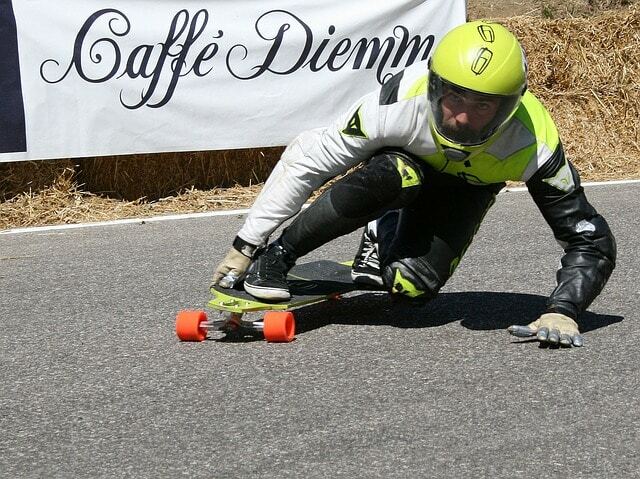 You can ride 14 miles with the board at a stretch. Including the dashing design and rechargeable facility, the scooter has more attractive features that made it a favorite device of personal transportation to the people. 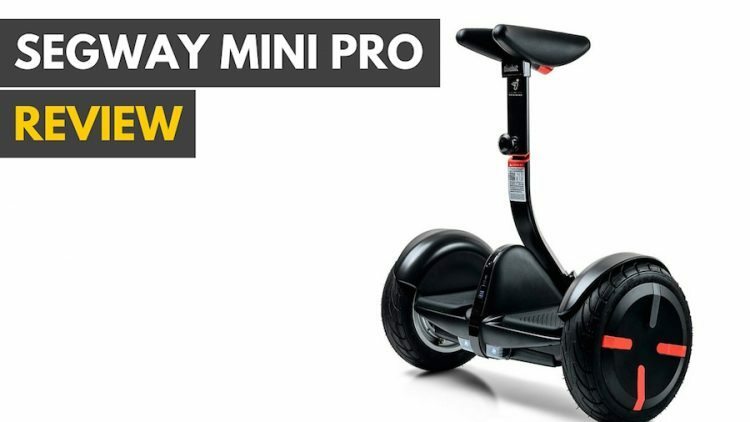 To uncover all the features and facilities, be with this Segway minipro review till the end. check out top hover-boards. In 2016, Segway merging with Ninebot surprised the world introducing revolutionary self-balancing electric scooter ‘Segway Minipro’. People started to love this hoverboard scooter right away. It was also a matter of gratification for the Segway, but the past of the self-balancing device was not smooth! Before introducing Segway minipro self-balancing smart scooter, Segway introduced hoverboard. The board changed the definition of personal transportation, taking it to a whole new level. People started to use hoverboard as a mean of their fun and transportation. Everything was going excellent but on the latter part of 2015, these self-balancing boards started to be blamed for catching fire and exploding. This happened mostly with the duplicate manufactured hover boards. Companies like Segway had to face their fair share of the blame, although they did little to deserve that. It all came back to normal after the introduction of Segway Minipro. It is safe to say, it instilled a new life to the popularity of self-standing scooters. Segway minipro was the new hope and tool for the manufacturer to bounce back on the market and they were successful! Here is the technical specification of Segway minipro self balancing board. The design of Segway minipro smart scooter is loveable, classy and professional. Even if you are a conscious disciple of modern fashion it will resemble your taste. The board is available in two colors, Black and white, both colors give the scooter a premium look. This minipro self-balancing board is 21.5 inches wide and extends up to 34.02 inches high. It weighs only 28lbs, but the interesting part is you don’t have to carry this weight when you are not on the board. You can lock the board using the smart lock or control the board with your smartphone to move along with you. Furthermore, the addition of customizable LED on the back, high-quality adjustable knee bar, LED functional notification panel on the front, and solid exterior of the tire made this self balancing scooter even stylish and efficient. So, if you are a former hover-board fan, or want to use this as means of your everyday serious transportation, or even for fun, you can without any worry go for this one. Segway minipro smart scooter has all the modern features to be your pick of personal transportation. Want to know the features? Concentrate in this feature section of Segway minipro review to quench your thirst. Constructing minipro was a challenge for the manufacturer. They had to maintain a balance between quality and safety of the scooter. The minipro is made of lightweight magnesium alloy frame, which is similar to the material that is used in aircraft construction. The tire of this self balancing electric scooter is made of the pneumatic material, which is stronger than commonly used materials of usual hoverboards. Minipro’s tires are also better at absorbing shocks. Additionally, to lessen the chances of skidding and to reinforce grip, a refined tread has been added on the scooter tires. Segway minipro self balancing board is featured with a dual motor engine, which provides the power of 1600 Watts! Because of this powerful motor, you can reach the top speed of 16km/h to travel a distance faster. The foot pad is an important section of this self balancing hoverboard, as balancing, movement, and stability depend on the right accommodation of the foot. The foot pad of minipro provides maximum gripping to the rider to have full control over his body. Insertion of kneebar with minipro gives this smart scooter unique physical attire than hoverboards. The knee bar is removable and adjustable with the height of the rider’s knees. Traction pads of the knee bar facilitate in turning and maintaining stability while riding on the scooter. The people whose height is in between 5 to 6 feet, the bar will suit them best. Segway minipro has a UL certified lithium-particle battery that can go up to 14 miles or 22.5 kilometers on a full charge. It takes around 4 hours to be charged fully. The Segway minipro can carry a rider up to 220lbs. The prescribed age/weight of the rider is, at least 16 years old or 80lbs in weight. A rider between 80-220lbs will get the best experience of this Segway minipro. This Segway minipro hoverboard scooter has a very powerful battery and dual motor engine. This combination of powerful battery and a dual engine can produce the highest speed of 10 miles/ 14-kilometers per hour. The customizable LED taillights ensure a rider’s appearance during day and night. The color of the lights is customizable; you can set any color you want through the Segway minipro app in your smartphone. 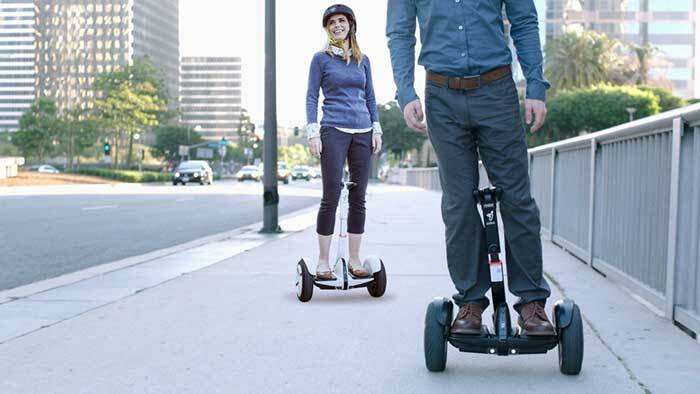 On a full charge, the Segway self-balancing board rides up to 14 miles. But this distance largely depends on the riding conditions and maximum burden. An anti-theft alarm system has been installed in this self balancing board. The system will inform you as soon as anyone touches your scooter. So you don’t need to be worried about the security. Also, you can lock the scooter so that no one can ride the scooter without your permission. The software is the most intelligent part of this Segway self balancing electric scooter. All the hardware is controlled by the software installed in it. The scooter pairs with Android/iOS smartphone through an app so you can control speed, security, and led lights by your phone. Other than these, in the front panel, there are battery level indicator, Bluetooth connection indicator, locking status indicator, and head lights. You can also modify the safety features, upgrade firmware, run vehicle diagnostics, and even remotely command your minipro to move using the app. Because of the notorious history of Hoverboards, the main challenge manufacturer faced was to improve the durability and safety of the scooter. We can say, they passed the challenge successfully. The Segway minipro got UL 2272 Certification which means the smart scooter has the highest standards of fire and electrical safety requirements. In addition, the scooter contains highly sensitive sensors. The sensors automatically detect even an awkward movement of the rider. As a result, the rider gets notified and can maintain his/her balance and stability over various indoor and outdoor grounds. The sensors also warn you when you are riding at the top speed. The installed customizable LED lights also ensure your safety highlighting your appearance for the other wayfarers and vehicles, during day or night, rain or shine. Moreover, the minipro’s casing and tires both are manufactured with top-class materials. So whether it is friendly or rough ground your self balancing board will be just fine. check how to use hoverboard? c. Easy to learn and ride. d. The steering system is more logical than a typical hoverboard. f. Portable and easy to store. a. Bluetooth connection is not reliable. b. The scooter weighs much. c. Not for the kids. b. A tube to add air to the tires. Question-1: Can I remove the knee bar? Answer: Yes. The knee bar is removable. The unit has a latch at the bottom of the bar that allows you to release the kneebar. However, the unit will not operate without the knee bar in place. Removing the knee bar is only for storage or carrying purposes. Question-2: Can it run on a beach? Answer: It can absolutely run on the beach! However, it will be more difficult if you attempt to ride on fine, uneven sand. The minipro's 10.5" pneumatic air-filled tires have treads that excel at riding on even, flat surfaces. If you plan to ride on beach sand frequently, you will get optimal performance from off-road tires, such as the ones found on the Segway X2 SE. Question-3: Where do I ride this? Answer: The Segway minipro smart scooter is designed and engineered to ride on smooth, flat surfaces that offer effective traction! This includes indoor and outdoor, such as carpet, concrete, wood, and other similar surfaces in urban environments. If you already have gone through this Segway minipro review, you will agree with me that Segway successfully passed the challenge of constructing a solid device! Except for the Bluetooth connectivity problem, the Segway self-balancing scooter has every modern and safety feature that a rider needs.